Happy Monday and Happy Week, all you wonderful people! Just wanted to share with you some more of my artwork, an enchanting piece I’ve been working on for quite some time. I originally shared a couple of different versions of her, but now she is finally finished and I’m so excited to share her with you! Hey, everyone! Hoping you’re all having a great weekend! It’s a beautiful day here in the South. The Gulf Coast is blessed with amazing sunshine and the temp is currently 82°. My husband was in the shower and our son was in his room. As I quietly stood in the kitchen trying to keep myself quietly composed while I read the letter about my mammogram results, I couldn’t help but feel a lump in my throat as the tears welled in my eyes. I knew that my breasts felt fine, never any discomfort or anything of the sort, but I also knew that cancer could be present without any signs known to the individual. I continued to keep silent, not wanting to cause any concern for my son, but when my husband got out of the shower, I showed him the letter. He read it and then told me that I was going to be fine and not to read too much into it. He was being strong when I couldn’t be. But then I remembered dinner and it was time for my family to eat, so I wiped away the tears and kept myself together for the rest of the evening, being my same ol’ silly self. The next day as soon as I knew the clinic was open I called to make my appointment to have another mammogram. I had to wait a week before I could get in. That meant a week of not knowing what was going on with my body. The fear I concealed from my friends and family wasn’t easy to hold back. With everyone else having their busy lives, I didn’t want to trouble anyone with mine. So I’ve kept this to myself, until now. For those who know me best, I’m actually an extremely private person and don’t talk a lot about my personal life. What I do disclose about myself, I do so in hope to help others find courage and strength to overcome anything they may be going through. As I said, I had to wait a week before getting my next appointment. Not just the fear of the possibility of maybe having anything cancerous, but also the entire “game changing” that it would do to me and my family. If I did have breast cancer, how would I tell my loved ones? It would crush them! And what would I do for work. I have two jobs, how would I be able to maintain my employment if I had to go to doctor appointments? Also, the treatments…. I know what it can do to the body. I’ve seen dear ones to me suffer and I didn’t want to go through that, too. Didn’t want my family to have to deal with that. My thoughts were literally running scared. Of course, I continued with my goofy ways, but what I was going through stayed heavy on my mind. And the couple of days right before my appointment were even a little heavier to deal with. I just wanted the next mammogram to be done. I honestly had never wished for a day to be over with so badly. As I sat down, waiting to be called back, Stevie Nicks with Don Henley came on the radio singing “Leather & Lace”. I took a breath and sat still, listening to the song. I took it as a sign, a beautiful, positive sign that everything was going to be alright. Why? Because I am such a huge Stevie Nicks fan and hearing her voice made me feel better. I love her music!! A few minutes later I was called back to have my mammogram. The tech said, “Oh, you’re back again.” I said quietly, “Yeah, unfortunately.” She, like everyone else, tried to reassure me by saying, “Everything’s gonna be ok.” To be honest, hearing everyone say that was beginning to become quite repetitive, but I knew everyone’s intentions were heartfelt. “WOW!” I thought. I was starting to feel even better! It made total sense. Losing weight, changing my body…. I was beginning to understand things more clearly. After the mammogram they still wanted to conduct the ultrasound. I happily went along with it. The second tech, just like the first one, was super sweet and made me feel even more comfortable. The ultrasound took nearly ten minutes. After that I had to wait almost ten more minutes for the second tech to return with the results. And you wanna know what?! The results came back perfectly fine!! Yep, that’s right!! A clean bill of health!! Talk about a massive huge weight being lifted off my shoulders!!! PHEW!!!! It was like all that heaviness of fear and the unknown from the previous week just automatically vanished! I walked out of the ultrasound room and into the main lobby. The lady at the front desk asked me how things went. I gave her a big smile with two thumbs up saying, “Perfect!” She smiled back saying how happy she was for me. She and I then briefly exchanged stories of losing loved ones to breast cancer and how important it is to spread breast cancer awareness. Which lead to my purchase of a new t-shirt that the clinic was selling to raise money for the cause. 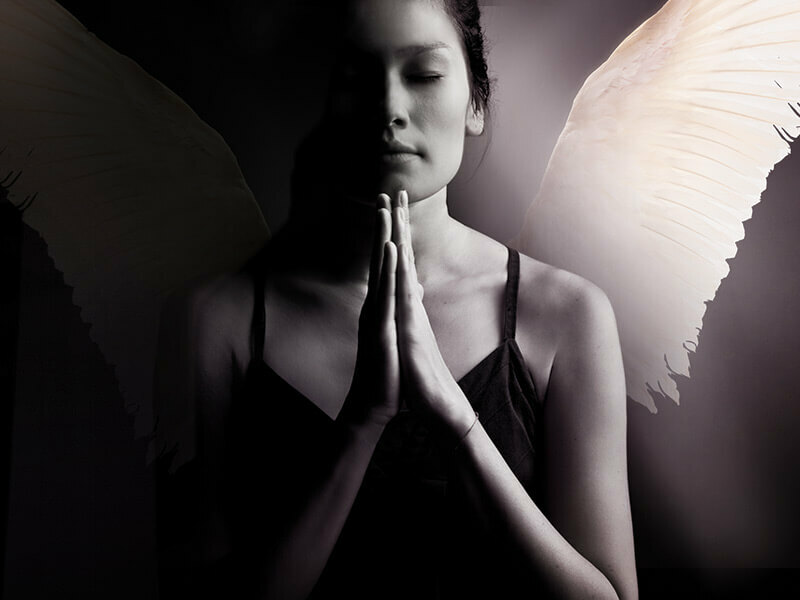 I then put my game face on and said a silent prayer to the Universe… reaching out to the Angels and my Guardians, feeling their positive energy of love and light. And with all of you, I feel that we should honor the ladies out there who aren’t so fortunate. May our hearts and prayers always go out to the fighters, the survivors and those whose lives were taken by breast cancer! In memory of a very dear friend of mine…. Julie. After a long and exhausting battle, she lost her fight with breast cancer nearly four years ago. Along with my family, she is my inspiration to spreading awareness for this extremely important cause! 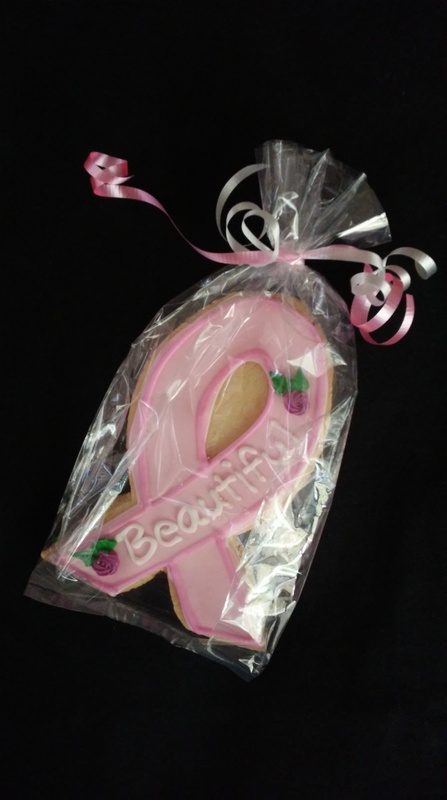 Here’s another article I wrote for Breast Cancer Awareness. 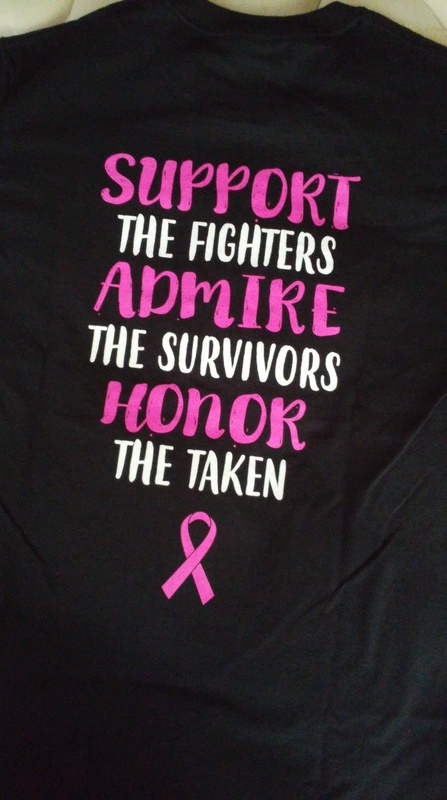 The back of the t-shirt that I proudly bought to show my support for Breast Cancer Awareness! 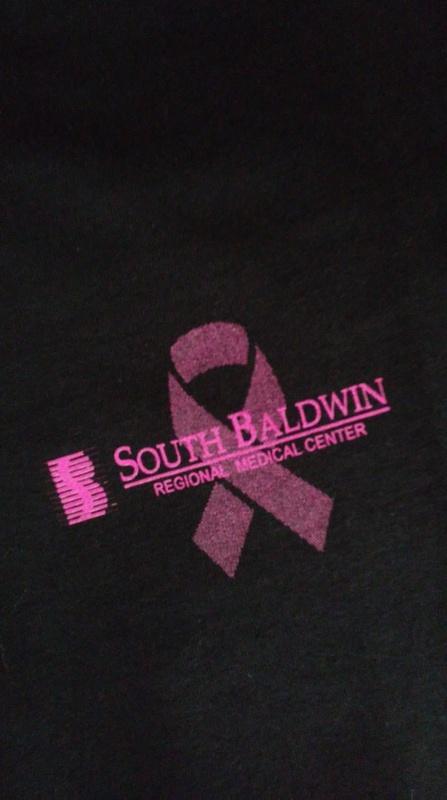 The front of the t-shirt that I proudly bought to show my support for Breast Cancer Awareness! It’s a small image on the upper left-hand side of the shirt. The delicious homemade cookie that the clinic was giving out. YUM!!! Such a wonderful, healing gesture that takes very little effort, yet can do so much for an individual. All one has to do is softly press their lips on the forehead of another, in the center, slightly above the eyebrows. It’s that simple. What does this beautiful act do? “It activates the pineal and pituitary gland of the person and brings a sense of security and well-being to the person.” ~ www.WisdomHealingCenter.com. When the glands are stimulated, melatonin is released which is a hormone that humans and animals produce that regulates sleep and wakefulness. Hence, a goodnight kiss on the forehead might be just what the doctor could order for those who may be suffering from insomnia. Here is something else I found interesting. Our pineal glands produce the most potent psychedelic known to man, dimethyltryptamine. Researchers of dimethyltryptamine suggest that it may help encourage personal empowerment, decrease the symptoms of depression and anxiety, and inspire self esteem, just to name a few. So, with all that being said about the pineal gland, it makes even more sense why the third eye kiss is so beneficial to one’s well-being! 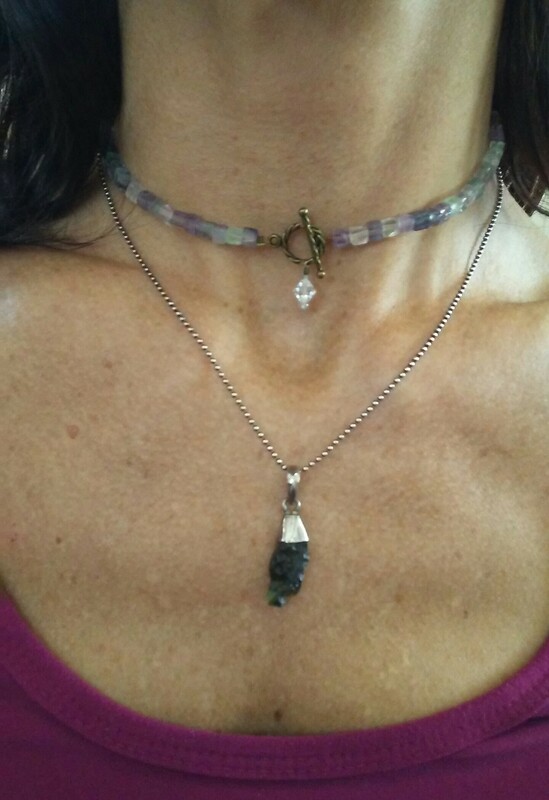 It could also bridge the gap between two souls wanting to connect on a more spiritual level, therefore creating a closer bond with the mind, body and Spirit….. a Universal connection on so many levels. I was also born on the third day of the third month. So, the number 3 has always been extremely prevalent for me all throughout my entire life on so many levels. And getting back to when I saw the number 1111…. this number symbolizes the invite to awaken oneself to embracing the bigger picture and to focus on the opportunity of what lies ahead. It is a time of thought manifestation, bringing thought into reality. Meaning, like I always say, “Positive Vibes Only!”…. having positive thoughts will manifest positive things and negative thoughts will manifest negative things. With that being said, when seeing the number 1111, make sure to be thinking positive thoughts (constantly). A powerful gateway of energy has been opened up for you from the Higher Realm of Spirit. This is an important time of acknowledgement and enlightenment. Know that the Angels are by your side with guidance and support. When I saw the number 1111 repeat itself, it automatically gave me goosebumps because I’ve recently begun to lessen the negativity around me and to start “listening within” to my inner voice, hearing the messages that I receive from the Angelic Realm and feeling their love and positive energy. What a wonderful feeling of enlightenment! I truly feel blessed and grateful! Recently I wrote “Spooky Random Fact: #2” about the number 666 and how it’s nothing to fear. The number, due to misinformation, continues to be misunderstood. As I mentioned in the “Spooky Random Fact”, the number 666 actually has an empowering meaning behind it. It symbolizes the need for us to take a step back to re-evaluate our current condition and learn to let go of the fear and material things that tend to take us off our spiritual journey. It’s a message that we need to bring our focus back to our hearts and learn to listen within so that we can reach a level of higher learning of love and compassion. You can say that it’s like a “warning” message that we are being too negative with our thoughts, therefore the path of our daily lives, and that we should regain control by reinforcing ourselves with the positive energy of love and light. So, if you ever find yourself seeing the number 666, don’t fear it. Merely stop what you’re doing and take a moment of reflection and see how you can change your life for the better by incorporating the power of positive affirmation. The above numbers were out of chronological order, but the following are and you might have seen them and maybe even resonate with them….. If you’ve ever seen the number 222, it refers to a new beginning, the need to move forward. Be willing to accept the next chapter in life. Seeing the number 333 means that the Ascended Masters are around you. This number is a reminder that you are a master in training and that you have infinite power within you to create greatness, not just for yourself, but for others as well. The Angelic number 444 symbolizes the need to focus on your inner wisdom and recognize the strong connection that you have with the Angelic Realm. Be fearless and confident. If you see the number 555, this refers to an upcoming change in your life that will take place in the immediate future. So, stay strong and remain positive. Things will work out accordingly. The number 777. When seeing this, it sends the message to embrace and acknowledge your awareness to knowing yourself better. You are working more perfectly with the Universe, being more aligned with your life’s purpose, bringing forth positive energy of love and light into the world as a lightworker. The Angels sending number 888. This means that the Universe is sending good things your way for past achievements, including good Karmic energy, and a harmonious balance in all aspects of your life. If you see the number 999, it symbolizes a time of closure, letting go of the past without any judgmental fears. Accept things that happened with love and light. Your intuition will always be true to you, to guide you. So don’t be afraid to trust it. Your intuition is there to help. 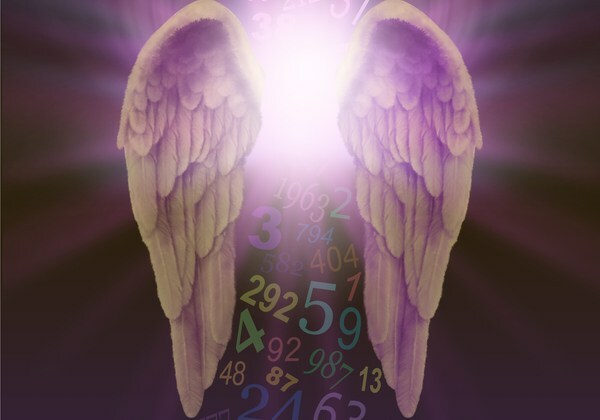 When the Angels send the number 000, it’s a message informing you that you are at “Oneness” with the Creator and that you are in tune with your Higher Self. When the numbers that come to us are viewed in “3’s” (like 999 or 888, etc…. ), it’s a strong message of our powers that are manifesting. The number that is tripled simply means that its power has increased more rapidly. Now there are so many more Angelic numbers with extremely important messages, but the above mentioned are just to name a few. I would love to hear from all of you! Have you received any messages to share from the Angelic Realm? If so, what are the numbers you’ve seen and how have you incorporated the messages into your daily lives?